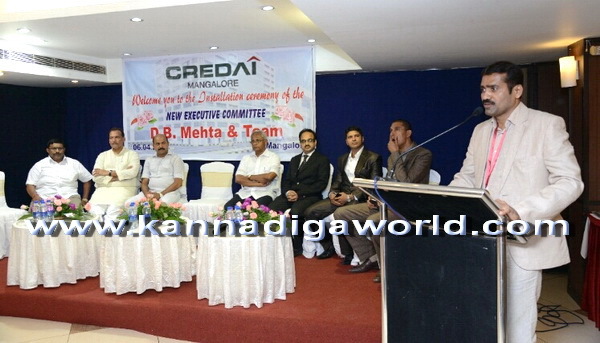 Mangaluru, April 7: D B Mehta, has taken charge as the president of CREDAI Mangaluru in a ceremony held on Monday April 6th at Hotel Deepa Comforts in the city. 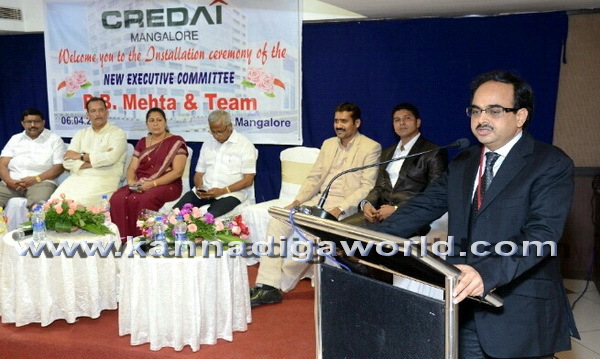 Mehta is also the chairman of Allegro Ventures India. 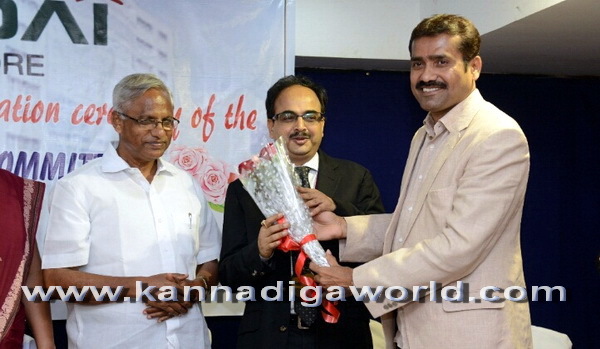 Outgoing president Pushparaj Jain handed over the charge to D B Mehta. 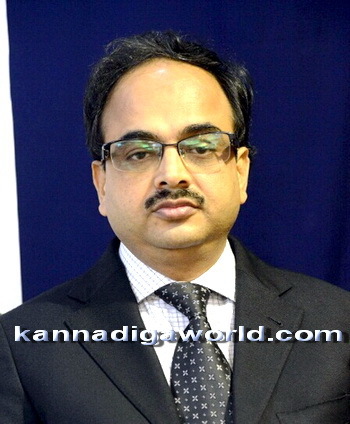 The new office-bearers namely Dheeraj Amin as vice-president, Naveen Cardoza as secretary, Vinod Pinto as joint secretary and Errol Pinto as treasurer, along with the executive committee comprising of Sanath Shetty, Srinath Hebbar, Arshad, Siraj Ahmed, Hyder Ali and Laxmeesh Bhandary also took charge. 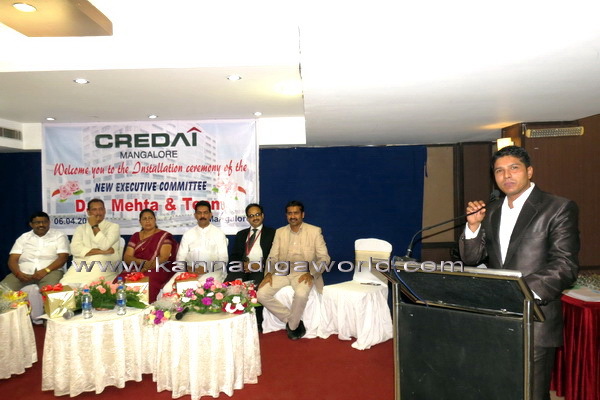 Addressing the gathering, outgoing president Pushparaj Jain expressed his happiness for completing two years successfully as president. 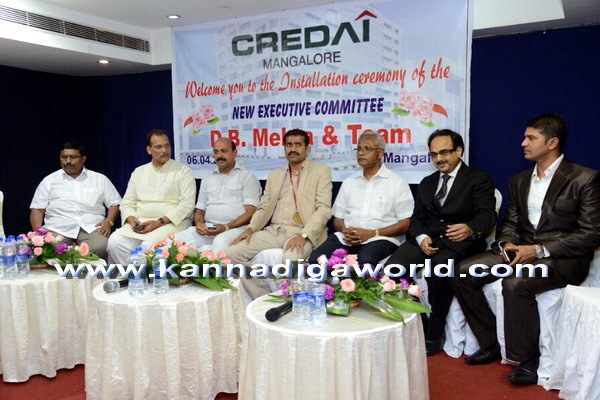 New president D B Mehta said, CREDAI is promoting real estate business and currently there are 56 members in Mangaluru. 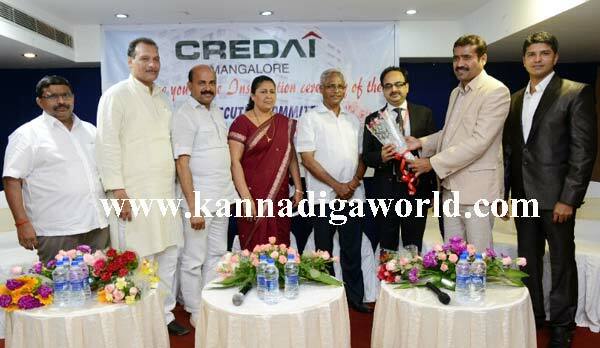 While adding new members CREDAI sees to it that the builder has completed at least one building with occupancy certificate. 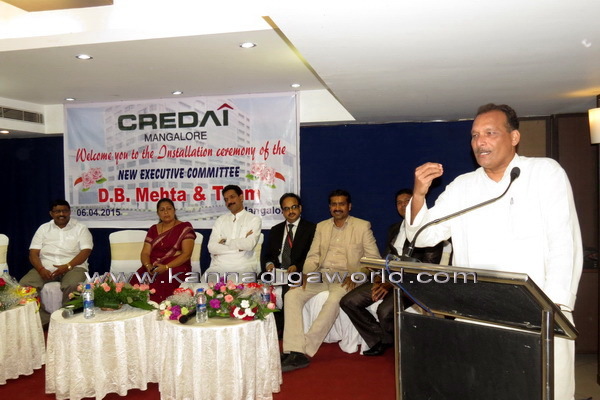 He urged politicians to include builders in the policy making process. 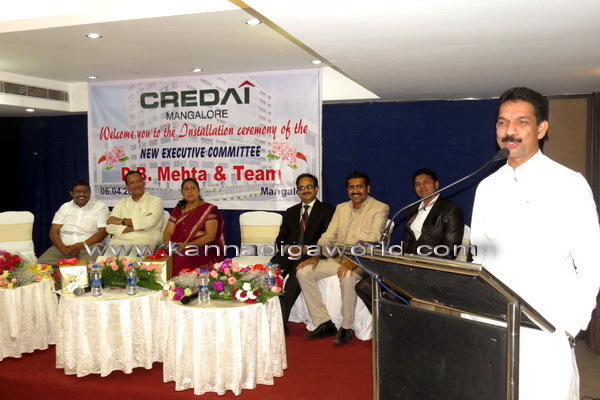 MP Nalin Kumar Kateel during his talk lauded CREDAI and said, CREDAI has contributed a lot to Mangaluru city. 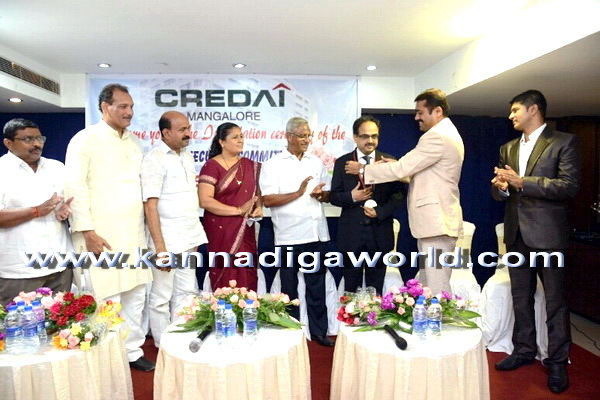 Ever since CREDAI came into existence, builders have followed laws more strictly. 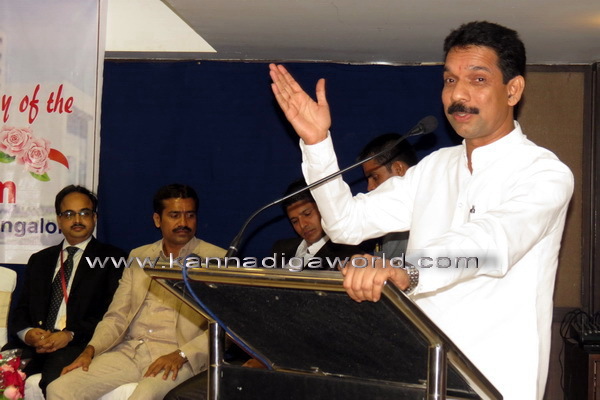 We have to develop tourism. 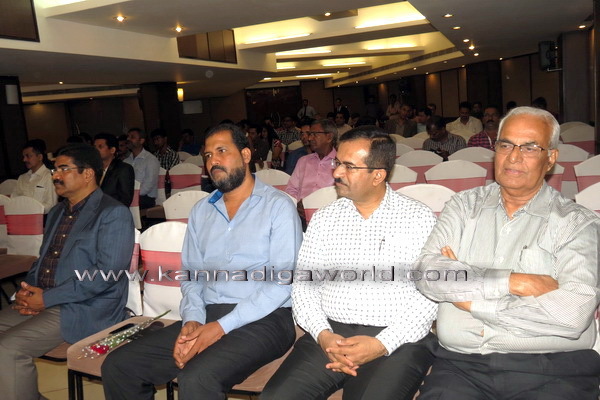 Our district has tourism spots but the coastal area needs to be developed in order to boost tourism. 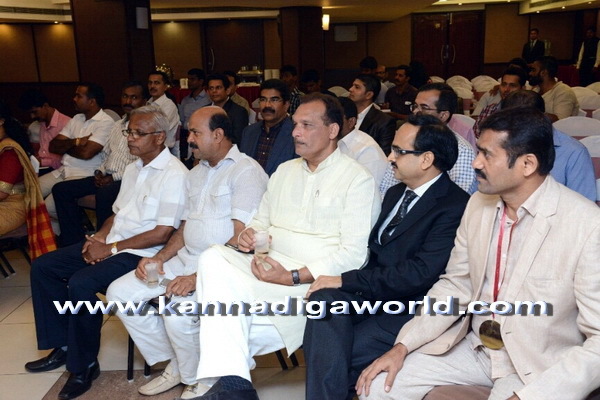 Several development projects have been already taken up like upgradation of the central railway station to international standards, and transforming Mangaluru into a Smart City. 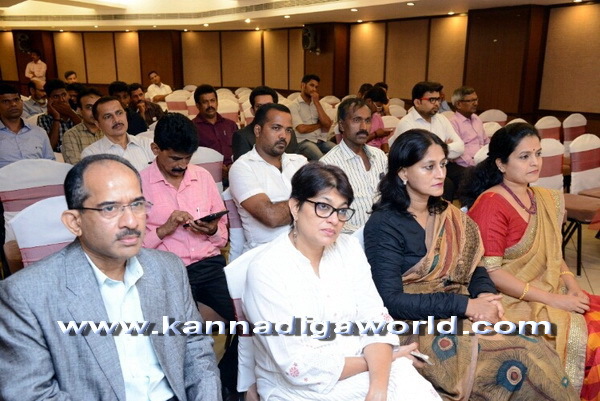 MLC Ivan D’Souza, MLA JR Lobo, MLA Mohiuddin Bava, Mayor Jacintha Alfred, Ganesh Bangera, Rohan Monteiro, and others were present on this occasion.